Sometimes I think back with dread at the days before WooCommerce as I remember the frustrations I faced in trying to get other ecommerce tools to work as i wanted. It seemed that there was no single tool that integrated neatly into WordPress, but also had the functionality of major ecommerce tools. WooCommerce has saved me an endless amount of time and money simply by working as it should. With other tools I spent more time chasing my tail fixing bugs. I used to dread plugin updates to these pre-WooCommerce plugins as they seemed to create more bugs than they fixed. Then along came WooCommerce and saved me from the darkness! I have no affiliation with WooCommerce, just an appreciation of well written software. Here 7 reasons I hope will convince you to love 1 commerce justin much as 1 do. .
WooCommerce is very easy to use and simple to setup. Anyone with experience of installing WordPress plugins will be able to get Woo off the ground and begin selling in minutes. WooCommerce settings are clear and well laid out. Adding products and managing orders is also quite easy. In the basic installation there are a number of payment options including PayPal, Bank Transfer and collection. WooCommerce comes with the Shop Manager role so that a non-admin can also manage products and orders. This is useful for web developers who want to shield their clients from the Tools and Settings menus in WordPress. 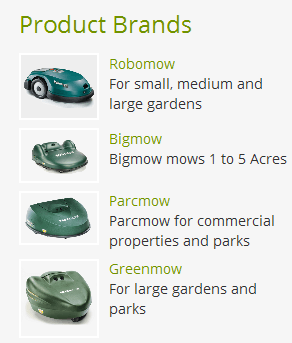 In terms of usability WooCommerce ticks all of the boxes. The checkout process is smooth and stable for customers. Unlike other WordPress ecommerce plugins, there is no requirement for the customer to register as they checkout. E-commerce research has shown that letting the user checkout without registering leads to a quick checkout process and lowers rates of cart abandonment. You can begin selling immediately without making any major changes to WooCommerce settings. The plugins works as expected with minimal setup and minimal changes to the default settings. This makes it easy to test WooCommerce with your web theme. WooCommerce can be added to any existing WordPress theme! 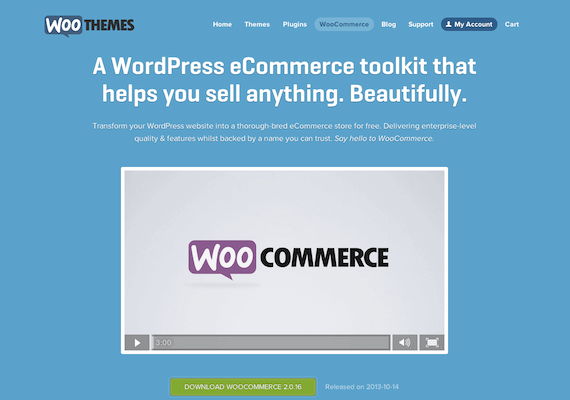 Yes, you read that right, WooCommerce can be added to any existing WordPress theme! While the default look and feel of WooCommerce may not be to everybody’s liking, it is a clean and clear design. Woo also lets you override default css so that you can completely customise the layout and design of product listings, the shopping cart and the checkout process. This makes WooCommerce a winner in terms of design options. I like my cars fast and my plugins secure! Security is an important issue with wordpress and wordpress plugins. Woocommerce is regularly updated with new features and with security updates. The fact that it is regularly updated ensures that is always compatible with the latest version of wordpress. I have never experienced an issue with updating from one version of WooCommerce to the next. Unlike other WordPress ecommerce plugins, there are rarely, if ever, new bugs added to the system on update. WooCommerce itself is free and there are also many free extensions for WooCommerce. However, the real power of WooCommerce lies in the excellent premium extensions that are available. Purchasing and downloading an extension from the WooCommerce website guarantees that you will get a quality product that works as expected. If the base installation of WooCommerce doesn’t have the functionality that you need it is quite likely that one of the extensions will provide this. There are also many free third party extensions so a quick Google search will probably help you find the one that you need. Note however that some of the plugins can be considered to be relatively expensive. Then again if the plugin saves you hours of coding and you can build this into your costs it will probably save you money. Woocommerce comes with a very extensive APIi. Any experienced wordpress developer can use the WooCommerce hooks and actions to create plugins, extensions and themes that support WooCommerce. WooCommerce is in itself a mini economy enabling developers to an work solely on developing Woo based products. WooCommerce is a wordpress plugin. For me this is one of the clinching factors. Most of my clients want not only an ecommerce site but also a website with a blog. By combining WordPress and Woo I can ensure that my client get all of this and has just one login to manage all of their website content and their online store. Unlike some enterprise ecommerce platforms like Magento using WooCommerce with WordPress is perfect for an integrated blog and ecommerce store.